Tatoo is intended for use with solvent or eco-solvent based inks and large format printers. Print, cut and press full colour graphics. Tatoo cuts and weeds easily, is thin and lightweight, and has a soft, matte, pliable finish and PVC free. Ideal for customizing T-shirts, hoodies, and more. In order to achieve maximum washing fastness with Tatoo we recommend a short re-pressing (5 to 10 secs) after peeling off the tape, with the Tatoo graphic in direct contact with the heat press. 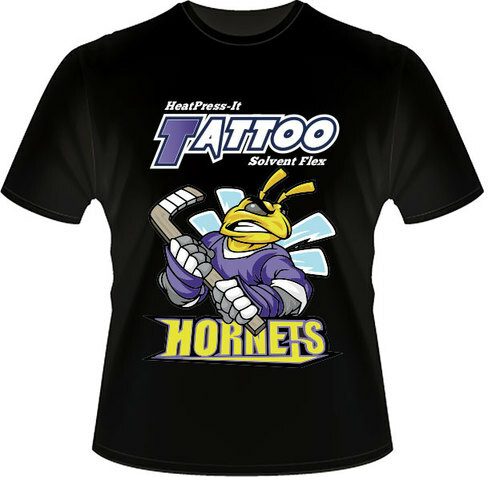 You can re-press Tatoo without any protective material, Tatoo will not stick or transfer inks to the heat press.